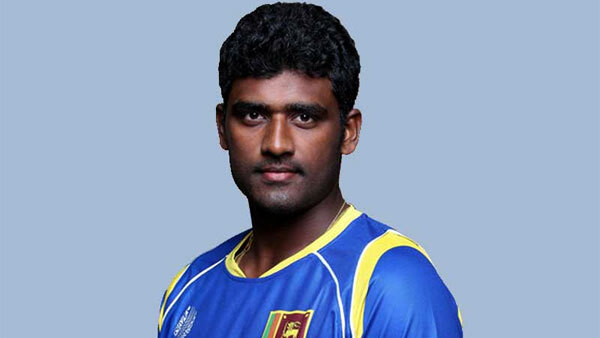 Thisara Perera who figured in the senior national squads for quite a while has been relegated to play in the Sri Lanka ‘A’ team to England. Perera, a hard hitting all-rounder failed to find a place in the senior ODI team named for England yesterday, but was included in the Sri Lanka ‘A’ ODI squad which is due to tour England later this month. Top order batsman Ashan Priyanjan will lead the Sri Lanka ‘A’ teams. The national selectors named two separate squads for the tour – a four-day squad and a one-day squad. The Sri Lanka ‘A’ team coached by former Sri Lanka ‘A’ cricketer Avishka Gunawardena is due to leave for England on June 22 and begin their tour at Chester-le-Street on June 26. Sri Lanka ‘A’ 4-Day Squad: Ashan Priyanjan (captain), Mahela Udawatte, Udara Jayasundera, Madhawa Warnapura, Niroshan Dickwella, Roshen Silva, Angelo Perera, Minod Bhanuka, Charith Asalanka, Sachith Pathirana, Lahiru Gamage, Kasun Rajitha, Vishwa Fernando, Asitha Fernando, Ramith Rambukwella, Prabath Jayasuriya. Sri Lanka ‘A’ ODI Squad: Ashan Priyanjan (captain), Mahela Udawatte, Udara Jayasundera, Bhanuka Rajapakse, Niroshan Dickwella, Kithuruwan Vithanage, Angelo Perera, Minod Bhanuka, Charith Asalanka, Sachith Pathirana, Thisara Perera, Lahiru Gamage, Kasun Rajitha, Mohamed Dilshad, Asitha Fernando, Ramith Rambukwella, Lakshan Sandaken.